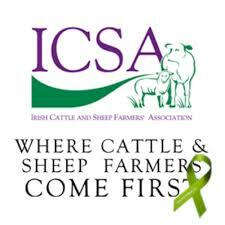 Isolation, mental health issues, financial debt features of everyday life in rural Ireland. 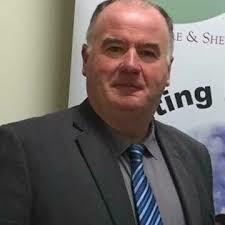 ICSA rural development chairman Seamus Sherlock has spoken of the need for people to “go the extra mile for their communities” at a public meeting focusing on the issues of Rural Isolation and Mental Health held in Bridgetown, Co Clare. Following the well-attended meeting, organised by An Garda Síochána, Mr Sherlock said, “Isolation, mental health issues and financial debt are all features of everyday life in rural Ireland. Evenings like this offer communities the opportunity to come together and talk about these difficulties and lift the stigma surrounding them. Particularly now, in the weeks leading up to Christmas, we all need to make a special effort to keep our rural communities strong and inclusive. “Many people find themselves living alone in isolated areas with little or no contact from the outside world with poor phone coverage and often non-existent broadband. It’s not hard to see why a culture of silence and keeping things to yourself has built up, but times have changed and the message has to be delivered to each and every single person that most of us are in the same boat in some way, shape or form and that support is available. “This is particularly important when it comes to mental health and financial debt. As pressures mount people can freeze with panic which allows the confusion and fear to become all consuming. I must commend An Garda Síochána for continuing to roll out these vitally important community meetings and tackling these hard to talk about issues. Sgt Edel Burke Curtain in particular has been tireless in actively going out and visiting homes and encouraging people to attend, even those who would normally be wary of getting involved. Other guest speakers on the night included Crime Prevention Officer Sgt Triona O’Rourke and Noreen Murphy, the founder of Lisheen House Suicide Prevention in West Cork.